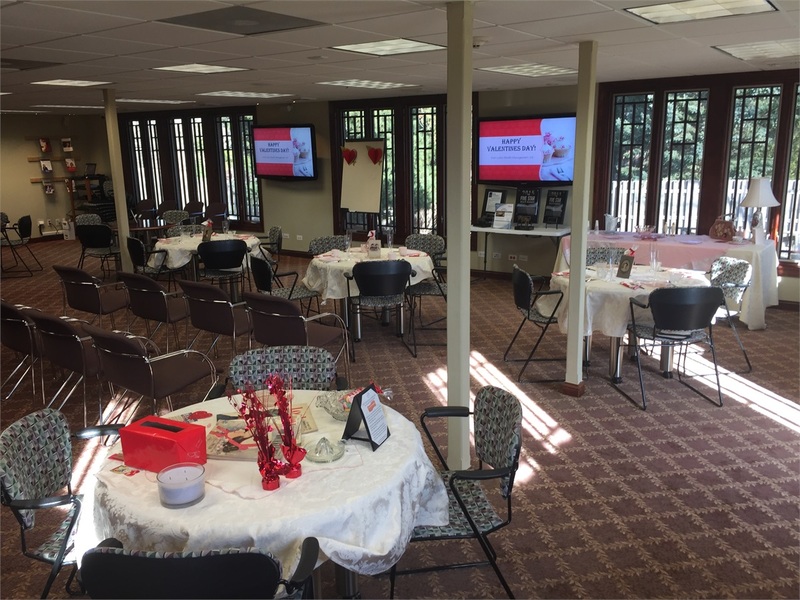 Past Client Events | Latko Wealth Management, Ltd.
Joliet Autobahn: One of the events that we hold for our clients is taking them out to the Autobahn Country Club in Joliet, IL where we are members. The day starts at 10:30am at our offices where we then drive our clients to the race track and ends around 3:30pm. Once at the track we set you up with one of the many cars available to drive around the 3.50 mile road course. These cars include Porsche's, Corvettes, Ferrari's, Audi's and BMW's, to name just a few. Once done with your track time, its time for lunch prepared by an award winning chef. After lunch we visit the Latko Wealth Management race car followed by 20 minutes of racing your own high powered go cart that reaches speeds of 40 mph. If your a fan of cars you will want to make sure that you come out for the day and have some fun with the guys. Ladies, this event is not just for the guys, sign up for your special ladies track day event! 2018 Christmas Carol Play: All of our clients came out for our annual Christmas Party. We first met at Odyssey Country Club for brunch then bused everyone down to Chicago to enjoy the Christmas Carol Play! 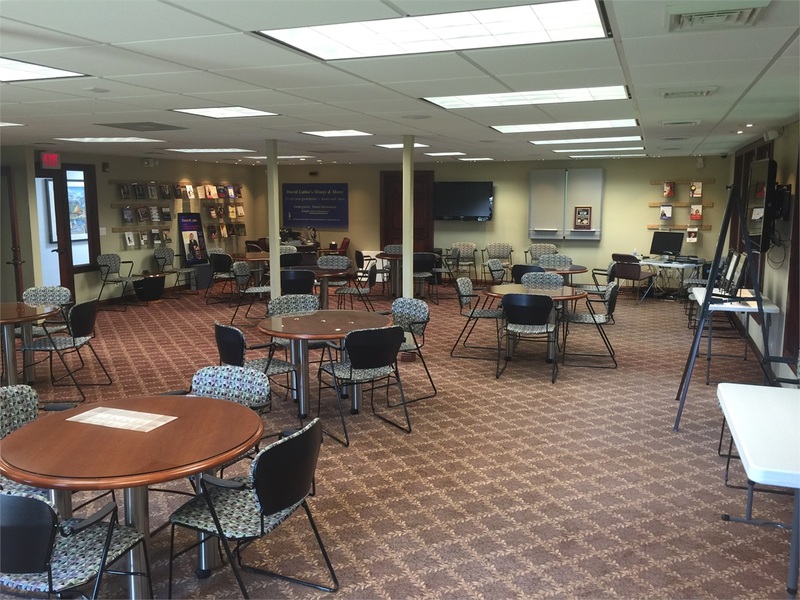 2018-2019 Antique Roadshow: This is Latko Wealth Managements first ever antique roadshow! All clients are invited to bring any item that they deem worthy to be valued by a professional appraiser who was featured on the actual antique Roadshow series. 2017 Day Trip to the Museum of Science and Industry: Please join Latko Wealth Management for a day trip to the Museum of Science and Industry downtown Chicago. Come experience the various exhibits at your own pace. You will have the option of either visiting the Coal Mine or watching a special Omnimax as an added bonus. Lunch will be provided at the museum in the form of a voucher. Twice Yearly Client Seminars: The Half-Time events are held annually in the first and third quarters of each year. These are educational events for clients and invited prospective clients. During these presentations, a review of progress in the first and last half of the year are reviewed and predictions for the beginning and the remainder of the year are discussed. 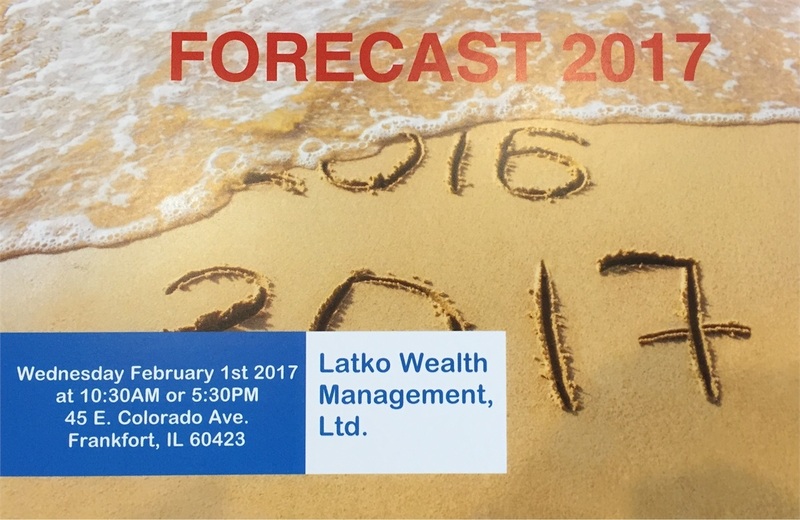 All seminars are held at the Latko Wealth Management complex in Frankfort Illinois. iPic/Emagine Movie Theater Day: iPic Theaters is redefining the movie going experience with their theater dining and reserved luxury seating for your comfort. They carry a complete menu that goes above popcorn and Red Vines. From appetizers and entrees galore to well-crafted cocktails, its the ultimate movie experience. Enjoy the latest in entertainment with state-of-the-art technology and let the iPic experience help you escape. 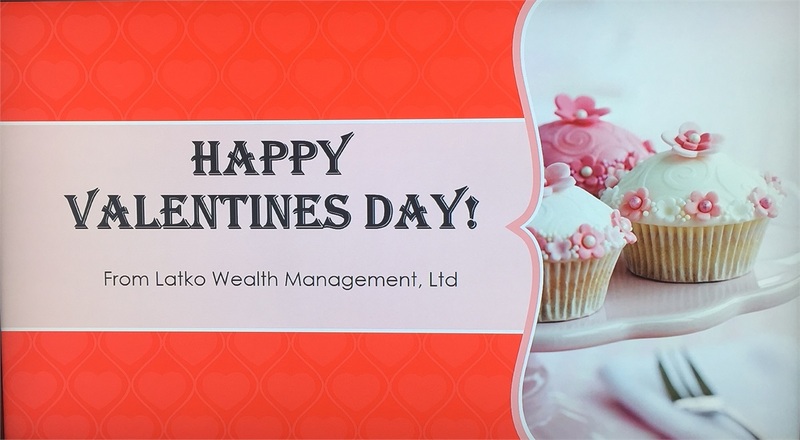 Our clients meet at Latko Wealth Management complex where they are whisked away for a movie experience you wont soon forget with reclining seats, pillows, blankets and your favorite drink and lunch menu while you watch the show. We go to the movies a few times throughout the year so make sure you join us for this fun day. 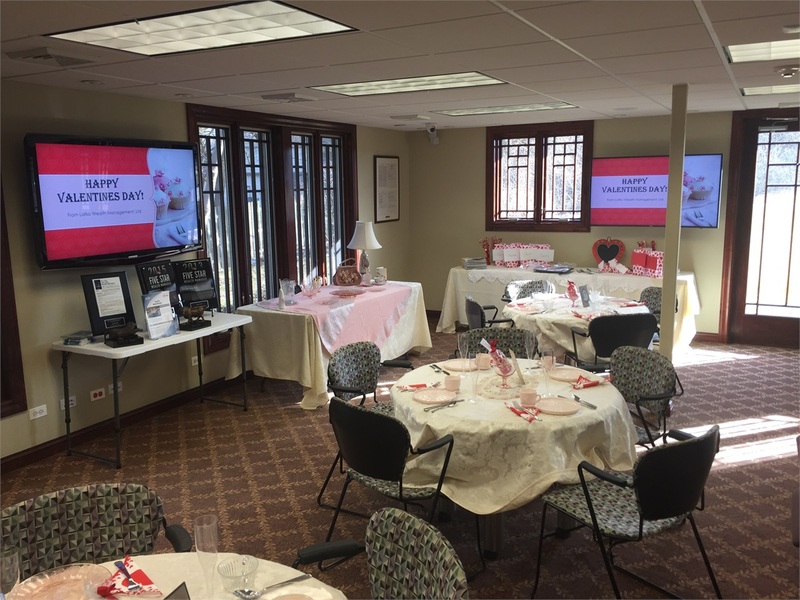 Annual Valentines Day Ladies Event: As this day is meant for celebrating with loved ones and friends, we would like to invite you and a female guest to join us in honoring all the special ladies we have the pleasure of assisting each and every day, for so many years. Please come and join us for some light snacks, drinks and conversation! Annual Client Christmas Party: Nothing like an annual Christmas party for clients to renew old friendship among each other and talk about family and the previous years events. This is an annual Christmas tradition at Latko Wealth Management for over 25 years. Annual Thanksgiving Pie Give Away: Last year we did a Thanksgiving Pie Giveaway where our clients came to pick up an apple or pumpkin pie for their Thanksgiving table. It was a wonderful event where almost 150 pies were given away. We hope to see everyone again next year! 2016 Identity Theft Protection Seminar: The Frankfort Police Department talked about the latest trends in identity theft and how people can protect themselves from being ripped off by thieves who steal personal information from your computer, cellphone or even your garbage can. 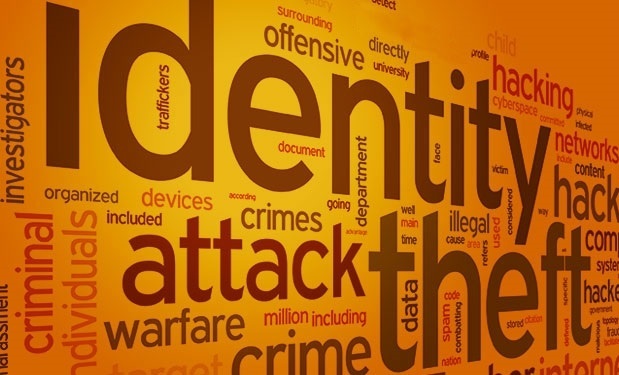 Identity theft occurs when someone uses another person's personal information such as name, social security number, credit card number, driver's license or other identifying information without permission and wreck your credit score and financial life if you are not properly prepared. Join us next year so you too, will be ready. 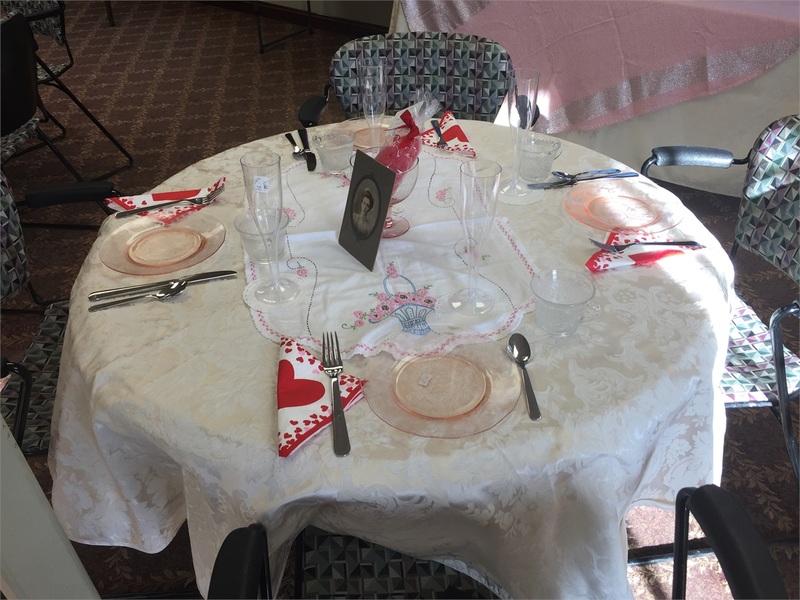 2016 Murder Mystery Event: Who Done It? That is the question at the Annual Billionaires Ball held at the Latko Wealth Management complex, an event held for our clients in October. 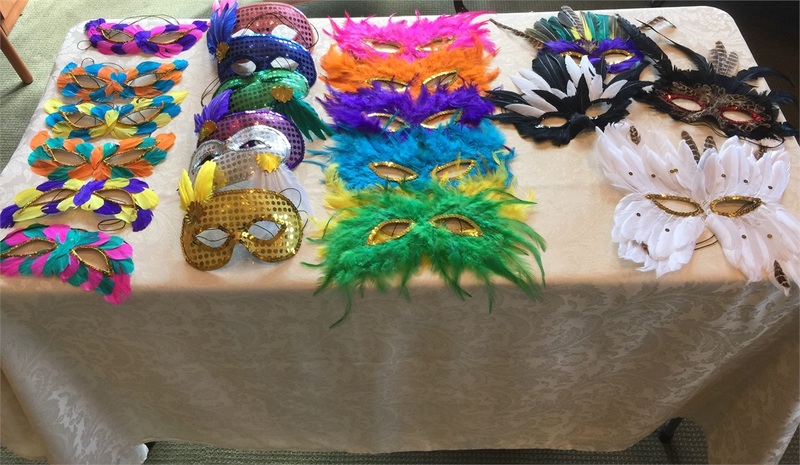 It was a murder mystery event complete with masks, fake names and a whole lot of laughter. Will you be joining us next year? 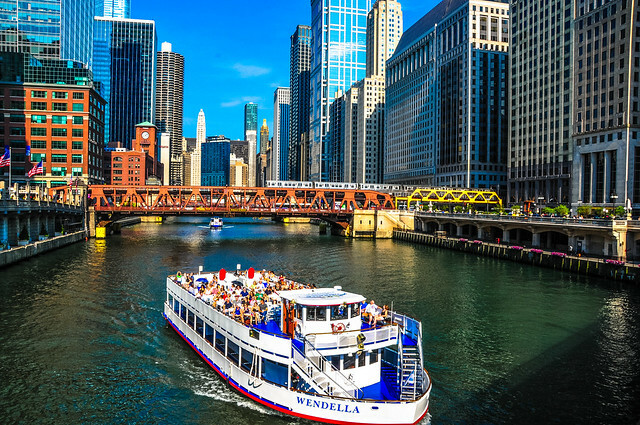 2015-2016 Chicago Architecture River Cruise: Join us for our next cruise down the Chicago River to see the city's famous architecture on this 75-minute tour, with commentary from an on board guide. Watch the spectacular skyline glide by, including more than 40 notable buildings like the Aon Center, the Wrigley Building and the John Hancock Building. They cover all three branches of the Chicago River, passing the East Bank Club, the old Post Office Building and the Willis Tower (formerly known as the Sears Tower). Always a great afternoon of fun in Chicago. 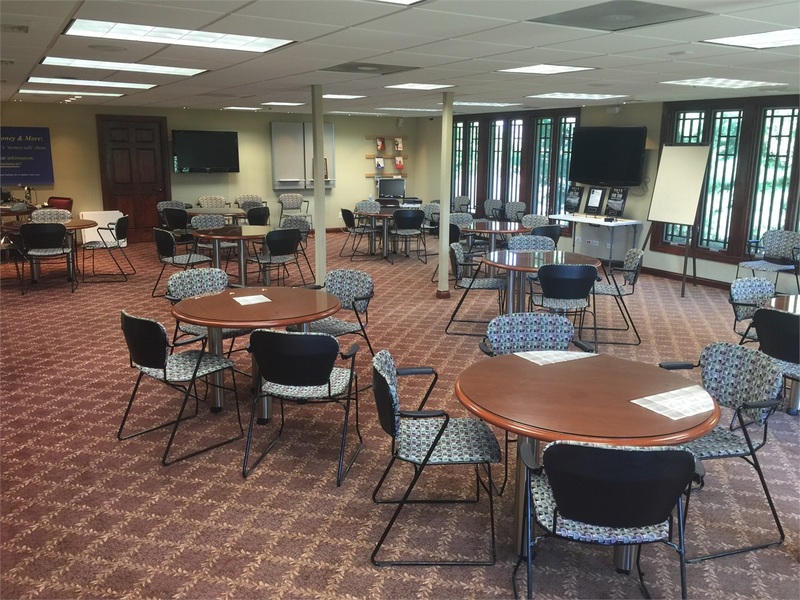 Clients meet at the Latko Wealth Management Complex and we handle everything from there. 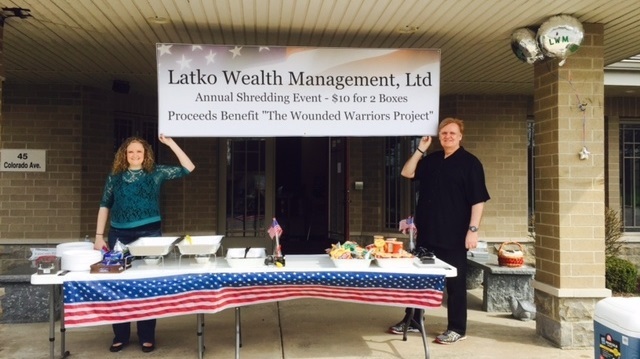 2014-2016 Shredding With Honor Event: Latko Wealth Management, Ltd. is passionate about many different charities. None more so than the Wounded Warrior Project, a charity and veterans service organization that offers a variety of programs, services and events for wounded veterans of the military actions following September 11, 2001. David's father was a Pearl Harbor survivor stationed on the U.S.S West Virginia on December 7th 1941, "the day that will live in infamy." so this event is near and dear to our hearts. Every year we hold a shredding event in April at the Latko Wealth Management complex, where you can get rid of your documents that need to be safely shredded. Two boxes may be dropped off for a cost of $10 with all proceeds donated to the Wounded Warrior Project. Plus come and get some free coffee and Doughnuts to start your Saturday off right.